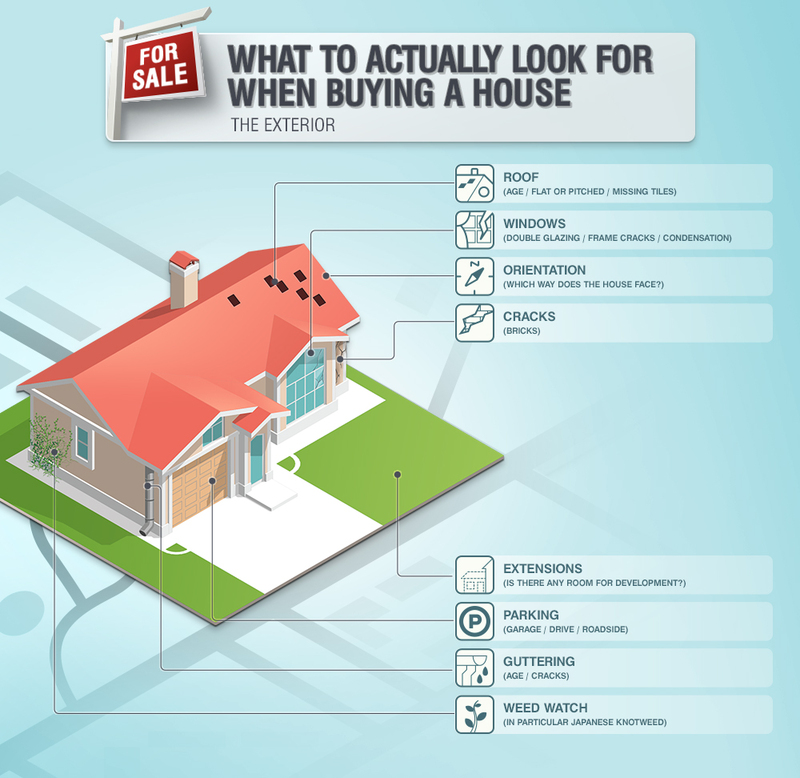 Buying a new home can be incredibly stressful. There’s so much you have to think about, it can all become a bit much at times. 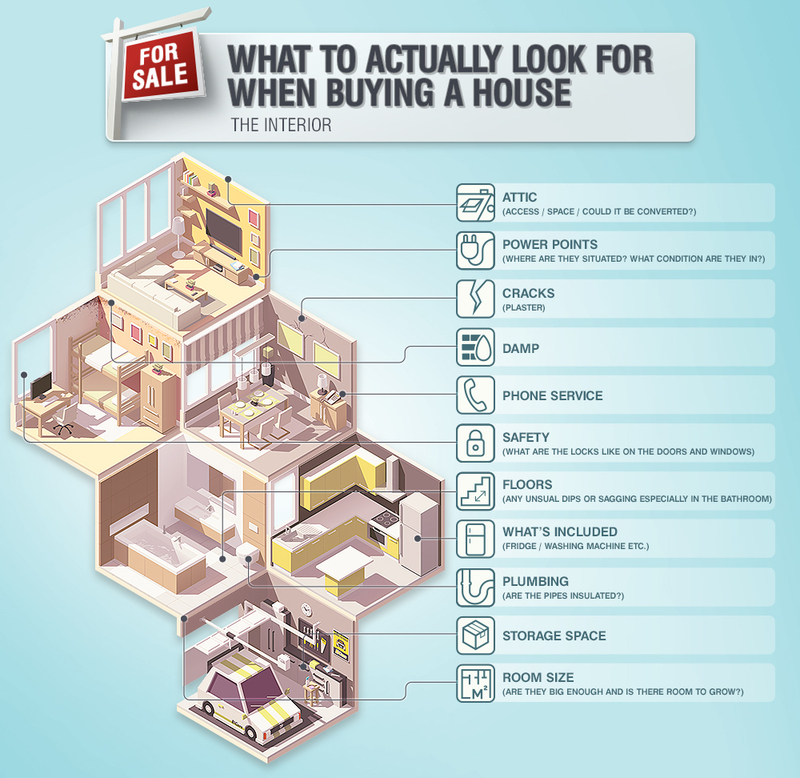 According to studies, only 26% of people viewed their current home once before buying it, while 43% viewed the property twice, 21% three times and 11% four or more times, proving that most house buyers feel the need to go back multiple times to make sure the house is right for them. 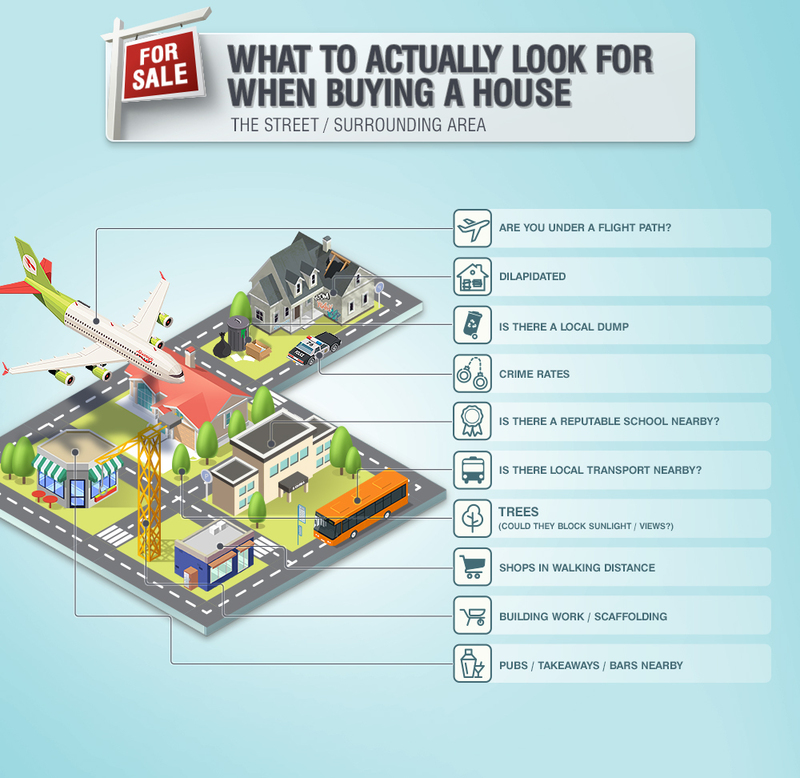 Here at RubberBond we know how frustrating this can be, so we’ve come up with a few graphics that outline EVERYTHING you need to consider when buying a home, looking at both the interior and exterior as well as the surrounding area, so you can simply refer to these any time you need to, and hopefully, you’ll only have to visit a property once to find out everything you need to know before you consider buying.